Usually domestic or world travel involves quite a bit of walking. Whether you are traversing a lengthy airport terminal, exploring a new city, or desperately trying to get back to your hotel after a night out, you are probably going to be walking more than you do in your normal day-to-day life. It is important to have shoes that you can comfortably walk in for days on end, because nothing can bring a good time to an end faster than painful blisters or sore muscles. The good news is that comfortable, walking shoes are currently in style – so you can stay comfy and look your best all at the same time! Below are our eight favorite walking shoes, four for women and four for men. So pick the style that best suits you and get stepping! These shoes look like casual running shoes, but they are actually better suited for walking. The breathable mesh fabric expands with your foot and stretches just a bit as you walk. The sole is made from a durable and soft material, which will keep the bottoms of your feet from getting sore. The shoes slip on which makes them easy to put on and take off (which is particularly great in the airport security line). The shoes come in 13 different colors, which means you can certainly find a pair that matches your wardrobe. These are great for anyone looking to spend all day navigating older cities and cobblestone streets. 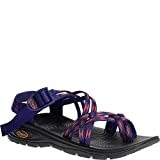 If you are traveling to a warmer climate, but still plan on walking a lot, then the classic Chacos are the way to go. These shoes are immensely popular among active and athletic individuals, and for good reason. The sole of the shoe is thick and supportive, and the straps are made of durable polyester that wraps around the entire foot, keeping the shoe securely in place. The straps are adjustable, so you can make the sandal fit your exact foot, and the treads on the bottom are thick and strong which are great for hiking. If you are planning a trip into the great outdoors, but still want to feel breezy and comfortable, this shoe is the right choice for you. It even comes nine different fun colors and patterns! Toms are another classic choice for people who walk a lot. These comfortable canvas shoes slip on and off, and the suede insole includes a cushion for comfort and support. The one-piece mixed-rubber outsole is resilient and flexible, so you can step on rough or uneven surfaces easily. The shoes have a classic, clean cut style, but also come in a variety of colors and patterns that allow you to express your personality and style. The canvas of the upper shoe is breathable and molds to your foot the more you wear it. These are a great option for anyone who will need to dress up or down during their travels, as these shoes can work with almost any outfit you wear. If you want a shoe that looks good while you run errands, and also during a night out, then classic pair of Toms are your answer. 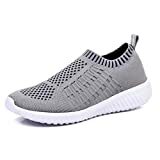 If you want the athletic look without having to deal with laces, then this slip on walking sneakers are perfect for you! They are lightweight and breathable, and almost look like a sock with a sole. The clean line of the sneaker is unbroken by laces or embellishments, which makes it a great foundational piece for any wardrobe. The breathable mesh is highly elastic, and the soles are slip resistant and soft to tread on. They come in eleven solid colors and two two-tone colors, so you can choose a design that will match most of your wardrobe. They are super easy to put on and take off, which is great for people navigating airports. These are a great option for anyone who wants a convenient slip on that is still on trend and stylish. 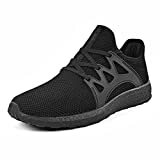 Like the first option on the list of great walking shoes for women, these sneakers for men are lightweight, breathable, and stylish. Both the top and the bottom of the shoe are made of slightly elastic material, which means the top of the shoe will mold to the top of your foot, and the sole of the shoe will stretch to accommodate uneven surfaces. There is great arch support in the mid-foot, which means the soles of your feet will not get sore. The entire shoe can slip on and off which makes it super convenient at the airport. The shoes come in ten fantastic colors, so you can go for neutral or bold, depending on your personal style. These are a great option for anyone going for a sporty yet comfortable look. Just like Chaco, Teva is another classic adventure brand. These shoes are great for anyone looking to hike, adventure, or just walk around in warmer climates. The sandals are mixed-material, have a hefty, supportive sole, and adjustable straps that can be adjusted to your foot. They have a casual style, but come in neutral colors which will allow you to dress them slightly up for a barbecue or down for a rainforest hike. These are a great solution for anyone who knows they will be walking a lot outdoors, maybe hiking, getting to and from the beach, or just exploring a southern city. If you are looking for a comfortable shoe that is a bit more formal than the classic sneaker, then this sports-inspired loafer is a good option for you. It slips on and off, which is great for getting through airport security, is made of a breathable mesh, and has a flexible synthetic sole. It is incredibly lightweight, which means it is easy to carry in your luggage, and comes in three neutral colors. They are not incredibly supportive, but if you are going for comfort, then this is a fantastic option for you. If you are looking for a walking shoe that you can wear all day, and then dress up for dinner later that evening, then this is your solution. These shoes look like a lightweight hiking boot, which is essentially what they are. They are made of leather and mesh with a rubber sole, have a water resistant membrane, and sturdy laces. 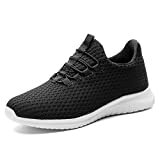 If you plan on doing a lot of walking in a hilly area, or some light hiking during your travels, then this classically styled shoe is a fantastic solution for you. You can even dress it down for every day wear, because depending on your outfit it can look like a stylish, leather sneaker. If you are both style and adventure minded, then this is your ideal walking shoe. So grab your ideal pair of shoes, some compression socks, and get to walking!